LegitPaidOnlineSurveys.com Review: Does it Really Work? There are many great paid survey sites, where it is possible to make some nice extra money. But there are also many that are not worth joining and many scams. An important aspect of PaidFromSurveys.com is not only to show and give advice about the good sites, but also to warn against the scams, so you do not waste your time or money. 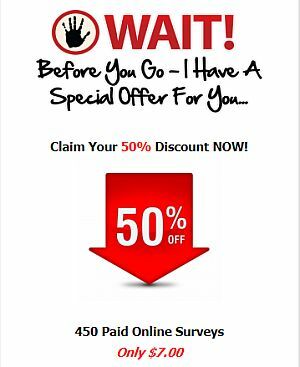 In this LegitPaidOnlineSurveys.com review, I will show you what this site is all about and why you have to be careful taking the site’s offer, and what to consider before doing it. LegitPaidOnlineSurveys is one of the sites where it is impossible to find any real information about how long the site has existed and who is behind it. This is never a good sign for a survey site, and something that made me look deeper into what the site is offering and the promises it makes. The site is quite honest about what it is offering, which is nice. It is offering an e-book with a list of more than 450 companies that offer paid surveys and focus group interviews. It promises to give you all the information to make it possible to start a home business and start making good money on the internet by doing surveys. If you buy the e-book download, you will also get a bonus access to information about how to get paid to drive, how to get paid to read emails, and how to get paid to pass out flyers. This is all the site is offering. So it is not as such a paid survey site. It only gives you information about how to make money on surveys. And you get access to this by buying the e-book the whole website is set up to sell. Nothing as such wrong with that, if the information was worth the money and the promises the site makes were real, but I will go more into details about this later. The e-book + the bonus downloads cost $17. LegitPaidOnlineSurveys claims that the information is worth a lot more and that other places you would have to pay over $50 and spend a lot more time. These claims about the price on other sites is baseless. There is no support for the claims, and actually you should never have to pay for information about survey sites. It is true that other sites use some of the same techniques to try to get people to pay for access to surveys, but that is usually only the scam sites. If you decide that you want to pay for the e-book and for the information (and please wait to decide until you have finished reading all of this review), there is a way to get it for half price. Go to the site and try to close your browser. Then a pop-up comes up and asks if you really want to leave. If you then say no and stay on the site, a whole new screen appears. This is a special offer before you go. And now you can get get the e-book for only $7. This is kind of funny in several ways. First of all the big screen say you get 50% discount, but 50% of $17 is not $7 – so apparently the owners are not very good at calculating discounts:-) They could actually have made it sound like an even better deal, if they had calculated the percentage correctly. So now you know that you can get the e-book for only $7. This is a pretty low price, if the information would do everything it promises. But to be honest, deals offered by websites like this are never worth the money, even when the price is low. I have tested MANY surveys, and there are many good and legit survey sites, where you can make some nice money. But none of them would ever charge you to join. And information about how to get paid from surveys is also not something you should ever pay for. You can find this information for free, and find information that is a lot more honest. 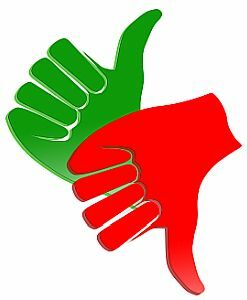 Let me explain a bit more about why the information you will get in the e-book will not be worth the money – it is simply because LegitPaidOnlineSurveys is full of false information, and this clearly shows that the site is only about trying to trick you to pay for a list that you should never have to pay for. This is a clear sign you should stay away from any survey site or site with survey information. If it tries to charge you to join, or charge to provide you with a list of survey sites, just walk away no matter how convincing and tempting the offers sound – these promises are not true. At the very top of the website, it is stated that your hourly pay could be between $5-$150 and that you can make $75-$250 per survey and more or less that you can do it as many times a day as you want. It is true that you can make more than $5 an hour. But you will not be able to make $150/hour even on the best survey sites. And I am not saying that you will never get a single survey that pays $75, but I have never seen one yet and definitely not one that pays $250, and I have done thousands of surveys. The maximum per survey is usually around $5 and in some cases they can be a lot higher, if you are for example participating in surveys as a doctor. You should in general not do surveys, if you are going for a high hourly rate. You should do it if you would like to make some extra money on the side and at the same time have your opinion heard on important topics. But there are too many variables to calculate an hourly rate, and there can be a big difference from day to day in how many surveys that are available to you. On the site there is a sample survey to give you an idea of what you can expect. This is however not anywhere close to being a normal survey. It shows you 20 very easy questions, and it will probably take maximum 5 minutes to do. It is claimed that surveys like this will pay you $45. This is completely unrealistic for a 5 minutes survey. But if you see this, there is a great chance that you will believe that what the site is selling can really make you rich from very little effort and therefore willing to buy the e-book. But you will be disappointed. If you could get $45 for a 5 minutes survey, surveys would be one of the highest paying jobs you could do – and it is not. I have seen this kind of fake sample surveys on many of the scam sites. It is simple meant to give you the idea that you can make a lot of money very easily, but it is just a dishonest trick. Any site that does not have any real information about who is behind the company and how to contact them should make you suspicious. There is a contact button so you can send an email, but that is all. There is a name of the guy that is supposedly behind the site – Jay Harris. This is however so generic and the picture of him looks very much like it is taken from some stock photo place. It is an attempt to make it look more personal and trustworthy, but without giving any real information. When a site tries to use tricks like this, it is a big sign that you should stay away from it. As you can read above, there will be a pop-up with a special offer when you try to leave the site. This is not necessarily a sign of dishonesty, as many legit sites also use pop-ups like this. But I have seen this specific approach in several scam sites. If you think about it, why would the site suddenly give you a product for less than half the price just because you are about to leave the site? If the product was really worth anything, that would not be the case. I am assuming that the idea is that it is better to get just a bit of money than nothing. And most people probably think that there is not a big risk when it is only $7. But even giving $7 dollars to a dishonest site just encourages it to continue. You might think that there is nothing to risk because LegitPaidOnlineSurveys offers a money back guarantee. I do however strongly doubt that you will easily get the money. First of all, the site knows that most people probably cannot be bothered to go through the hassle. And also because of the small print at the bottom of the site. If you scroll all the way to the bottom of the site, you can see something in small print. This for me makes it very clear that the site is trying to cover its back. The site is making all kinds of claims about how much money you can make, that you can start making a living from home, get money back ect. And then at the bottom there is this very small script that it can refer to and claim that it has not been dishonest. The small print that you can see a picture of below basically says that there is no guarantee that you will make any money, and that you could end up losing your money. Once you read this, it should be clear to you that you cannot trust the information on LegitPaidOnlineSurveys.com. In short, there are no real pros or benefits of LegitPaidOnlineSurveys.com. If you want to do paid surveys, there are luckily many legit paid survey sites that offers this. And remember that you should never pay to join any survey site or to get information about survey sites. If you have any experiences with LegitPaidOnlineSurveys.com yourself or have any question, feel free to leave a comment below. The only reason LegitPaidOnlineSurveys.com is getting even one star is that it has to have at least 1 star for the rating system to work. It is a very dishonest site with a lot of false promises.